Many people imagine classic Volvos as being angular sedans and estate cars that don't exactly stand out for their sportiness. This makes sense, since the 200 and 700 Series that were produced from the '70s to the '90s contributed to this type of brand image considerably. But back in the '60s, Volvos were known for being relatively fast cars with a sleek design. 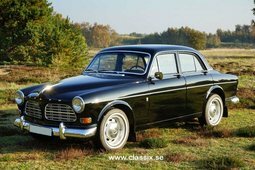 The Volvo Amazon – or the 120 Series – was the successor to the PV444/544, and was given an important mission: to open brand new horizons for the Swedish automobile manufacturer and turn Volvo into a global brand. The four-door sedan that came out in 1956 looked like it came from the best Italian studio, but it was a purely Swedish product. 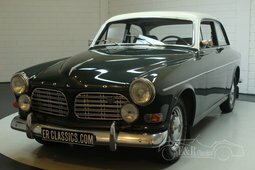 It was designed by Jan Wilsgaard who, in developing this Volvo, looked more towards American cars than European ones, since Volvo considered the United States to be its main export market. There was also a little confusion with the name of the model. The Amazon name that we know this entire family of models by was only used for the new Volvo in Scandinavia. In the rest of Europe, this name was already being used by the German moped manufacturer Kreidler, which had named one of its products 'Amazone'. So in all other markets, Volvo decided to use names according to the body type –121/122. 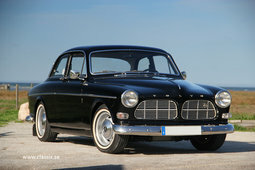 The Volvo 121 – the first production model that came out in 1957 – had a 1.6-litre, 60-horsepower engine with a three-speed manual transmission. 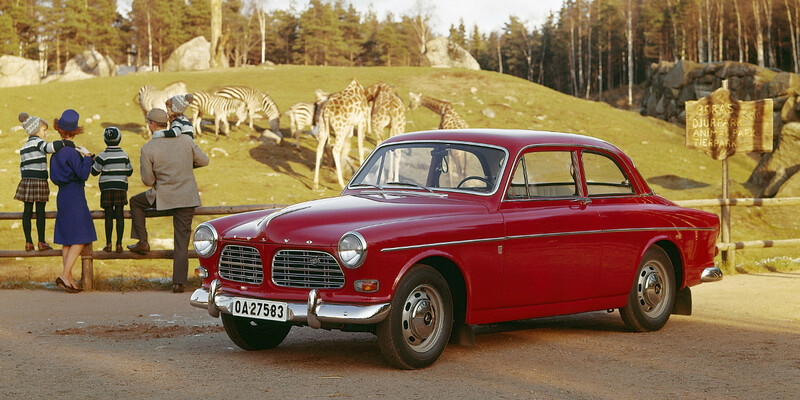 Even six decades ago, 60 horsepower was not a lot, but that was just the beginning – a year later, the Swedes began offering the 122S version, with a 1.6-litre twin-carb and 85 horsepower. 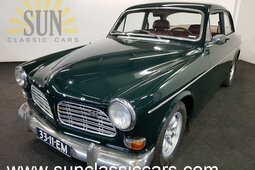 The same year, Volvo also started manufacturing a two-door version of the Amazon, which, like the sedan, was available with two-tone paintwork, where the roof was a different colour than the body. Incidentally, the coupé version eventually become their top seller, with more units being produced than the four-door sedan and the Amazon station wagon (body type 220) that came out in 1962. 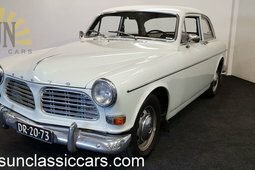 It was with the Amazon that Volvo began its reputation as a very safe car: starting in 1959, they all had a three-point safety belt as standard, which was a major innovation at the time. The 1.6 engine that had been around since the PV444 was quickly replaced, with the Amazon getting a 1.8 from the sporty new two-door P1800 in 1961. The same one which, thanks to its incredible design, was like a Ferrari for the price of Volvo. 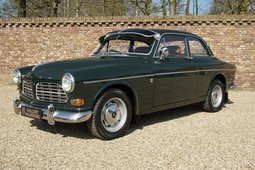 The twin-carb 1.8-litre version reached 90–100 horsepower, and they were genuinely fun to drive at high speeds – not exactly what we usually imagine when talking about classic Volvos. The Amazon was well-balanced and featured precision handling, so the sports versions dominated in the European Rally Championship back then. Based on these sports cars, the most unique street-legal version came out in 1966: the two-door 123GT with 115 horsepower. It had a tighter chassis, front disc brakes, Recaro seats, a large tachometer on the dash and a nice sports steering wheel. The engine was the same 1.8-litre from the P1800, but its twin-carb version with a higher compression ratio could reach 115 horsepower at 6,000 rpm. That was definitely not bad, considering that the car itself only weighed 1,050 kg. All 123 GTs came with four-speed manual gearboxes and could hit 180 km/h thanks to the electronically controlled overdrive. This is one of Volvo's rarest production models ever, with just over 1,500 cars produced in two years. No surprisingly, a 123 GT in excellent condition can now cost over EUR 30,000. A total of 667,323 Amazons with different body types were produced over 14 years, and more than half of them were the elegant two-door coupés. Incidentally, it was a coupé with a new 2.0-litre, 118-horsepower engine that ended the Amazon dynasty on the conveyor belt in 1970. The cars had relatively good anti-corrosion and were well-made, so an impressive number of Amazons have survived to this day. 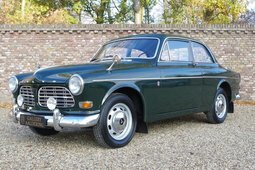 There are quite a few Amazons in good condition on the market for under EUR 10,000, which isn't all that much for such a great classic Volvo.